GlaxoSmithKline (GSK) is engaging in wrongful conduct by failing to adequately disclose the risks of Zofran when used by women who are pregnant, according to a new birth defect lawsuit filed by a mother from Tennessee. The lawsuit is pending in the U.S. District Court for the Eastern District of Tennessee. It demands compensatory and punitive damages for the minor child’s birth defects, which were allegedly caused by her prenatal exposure to Zofran (ondansetron). Zofran is a prescription medication that was first approved by the FDA in 1991 for the treatment of nausea in patients who were undergoing chemotherapy and radiation treatments. However, it is common practice for physicians to prescribe medications for off-label use, although it is not legally acceptable for pharmaceutical companies to market drugs for off-label use. The Tennessee mother was one of many women who were prescribed Zofran during pregnancy to alleviate morning sickness. In her lawsuit, she claims that had she been made aware of the serious risks associated with the drug, she never would have consented to its use during her pregnancy. During August of 1999, the plaintiff was in her first trimester of pregnancy. She was prescribed Zofran at that time for her morning sickness and she used it as directed. The birth defect lawsuit claims that her physician never would have prescribed Zofran for her nausea if the healthcare community been made aware of the serious risks associated with it. The minor child was born in April of 2000 and was diagnosed with congenital heart defects. The plaintiff asserts that the child’s heart defects were caused by the drug because she has no history of heart defects in her family and because she had previously given birth to a daughter who was born without birth defects. During her first pregnancy, the plaintiff did not use Zofran. The lawsuit does not specify the type of congenital heart defects the minor child allegedly suffers from. However, other Zofran lawsuits have claimed the medication has caused atrial and ventricular septal defects. These refer to a malformation of the heart in which a hole in the heart wall fails to close during gestation. The plaintiff is demanding that the defendants be held liable for her and her daughter’s “severe and permanent pain and suffering,” mental anguish, and economic damages. 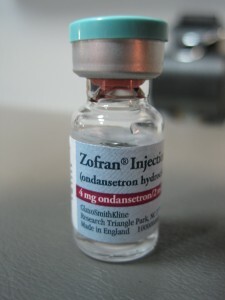 The lawsuit asserts that the labeling for Zofran displayed “inadequate and defective” warnings. Previously, the FDA required drug manufacturers to abide by an A, B, C, D, or X risk classification system. This categorization was intended to inform healthcare providers and patients of the degree of risk of harm to a fetus when the drug is used by a pregnant woman. However, as of June 2015, the FDA has moved away from this categorization system and instead requires drugmakers to explain the specific risks, provide supporting data, and offer relevant information for use when physicians counsel patients. The plaintiff demands that GSK remove the Pregnancy Category B designation from the Zofran label and instead comply with new FDA guidance to make patients better informed about the risks of the drug.